When you’re on the cusp of an exciting new venture – a marriage, a dream job, a perfect house – “How am I going to get out of this?” is probably the farthest question from your mind. With the exception of certain politicians who spend their entire term campaigning for re-election (or the next higher office), most people approach each of these unfolding chapters with the expectation of settling in for the long-term and being happy as a clam. When you’re bright-eyed and effusive with optimism – and especially when you’re a solo business owner – it’s rarely in your wheelhouse to consider things like exit strategies on the very first day you hang out a shingle. Yet given the number of elements that can impact both your professional sustainability and your personal growth, it’s never too early to take a long view of where that path could eventually lead you…and whether you’ll want to stay on it. 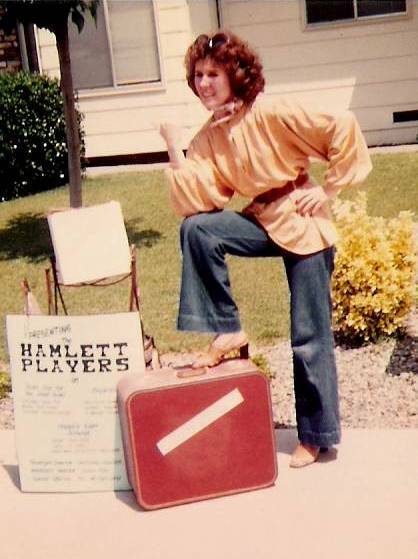 In the summer of 1978, I started a touring theater company. The common assumption was that it represented a transition from acting to directing/producing. The true agenda, however, was to address a longstanding problem I had observed from years of treading the boards in community and college productions; specifically, the practice of directors always casting the same actors in every show. As I often told people, landing your first role in a play is not unlike getting your first credit card. Everyone would love to give you one as long as someone else has already proven you’re a good risk. Despite all the training I was providing aspiring thespians on how to ace an audition, directors tended to look with disdain on anyone who showed up at try-outs with an empty resume. One such person I had formerly worked with even went so far as to say, “My shows are much too important to risk on unknowns.” Since I saw the creative potential of the enthusiastic newbies in my workshops, the obvious test of what I was teaching them about the craft of acting was to start my own troupe and cast them myself in a diverse range of roles to hone their skills on stage. Was it challenging? Yes. Was it sometimes vexatiously crazy? Yes. Was it gloriously fun? Yes, yes, a thousand times yes. Not only was I accomplishing what I’d set out to do by opening doors that had previously been closed to fledgling actors but the company was also providing a platform to develop my playwriting expertise. “I could do this forever,” I remember thinking. Until I hit the 8-year mark. The inciting incident was catching the worst cold and sore throat of my life. Although I wasn’t contagious, I felt wretched. Further, I was acting in one of the productions and my voice was about to go out at any moment. I turned to my assistant director and told her that she might have to go on in my place. Instead of sympathy, I got indignation. “You’re not supposed to get sick!” she shot back. Apparently I must have missed that memo. Perhaps it’s because I always made everything look effortless (which it truly wasn’t), I was never supposed to get sick, be tired, need a break or take a vacation. As is often the case when you’re the boss of your own business, the line between a work life and a home life gets so fuzzily blurred that you wake up one day and realize it’s not a healthy pattern to continue indefinitely (no matter how much you loved it at the beginning). I had also reached a point of starting to assess which one of the three things I did best – acting, directing and writing – would have the longest (and most portable) shelf life. The subsequent decision to focus 100 percent on my writing meant that the show, sadly, would have to go on without me. Having already trained a handful of assistant directors to lighten the rehearsal load, I approached them with the idea of their collectively continuing the company after my departure. The reaction was unanimous: “It’s too much work.” While many of my actors were happily treading the boards in productions all across town, there were just as many still with me who felt my decision was selfish. “How can you end something you yourself started?” they asked. There were even those who equated “quitting” with “failure,” despite eight years of success. The latter, I think, especially applies to the mindset of any sole proprietor who – following the hoopla of a grand opening – realizes one day that they’re just no longer passionate about baking designer cupcakes, doing consulting, or publishing other authors’ ebooks. The answer is that everything which ends means the start of something new. And in the end, taking a step out of your comfort zone and off a familiar path can lead to destinations you never imagined possible.